Spend on digital out of home advertising (DOOH), which includes video content and digital signs located in high traffic public locations such as high streets, airports, bus shelters, subways and malls — is expected to grow 10.1 percent each year between 2018 and 2021, accounting for the entirety of growth in the out of home (OOH) market as spend on traditional sites begins to decline from next year. 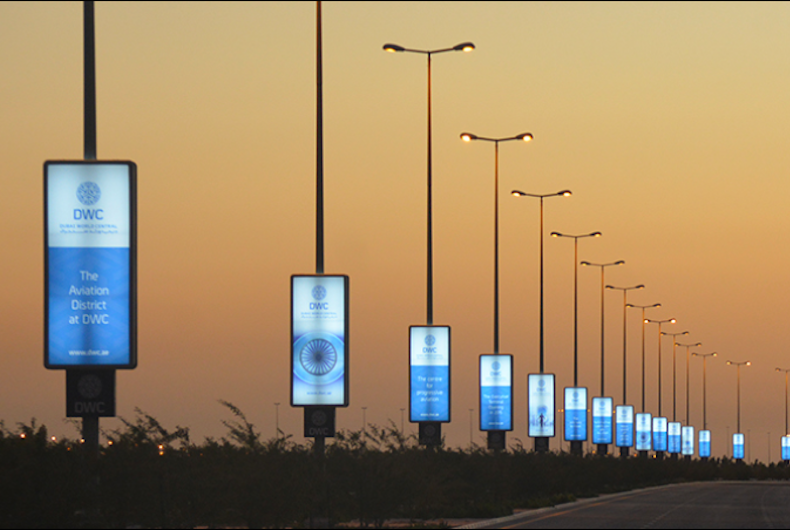 Despite the tough market dynamics with the Middle East OOH industry is witnessing, DOOH is one area that continues to grow. Several players in the region have been able to brave the industry due to their investment in DOOH. Digital’s share of total global OOH ad spend is expected to rise to 37.3 percent — or USD 14.6bn — this year, up from 34.8 percent in 2017, 32.4 percent in 2016 and 22.7 percent in 2012. The rapid growth of DOOH is driven in part by the higher cost-per-thousand (CPM) the format commands, but also the rising penetration of digital panels and the opportunity to combine data-driven targeting with powerful, dynamic creative. Major providers are accelerating investment in digital sites, and this will further fuel growth over the coming years. JCDecaux is building on its existing base of 59,744 digital screens worldwide with the ongoing digitalization of street furniture in in the Middle East, New York, Chicago and London. Clear Channel added 450 new digital screens last year, taking its global total to 14,510, while Lamar intends to add 300 screens in 2019, adding to its existing base of 2,800. Search is a key benefactor when included in the mix with OOH — mobile click through rates (CTRs) increase by up to 15 percent when supported by OOH. Data show 46 percent of US consumers used a search engine as a result of seeing an OOH ad, while 38 percent went on to use Facebook. While DOOH provides the opportunity of improved targeting through facial recognition, consumers are yet to be sold on the idea. A full 65.2 percent of those surveyed by Warc and Toluna were not happy for facial recognition to be used for personalized marketing messages. “The combined power of digital out of home and mobile location data can be used to add greater targeting capabilities to a broadcast medium, serving programmatically-traded creative by the hour to the right people, in the right place, at the right time. This is an enticing prospect for advertisers looking to leverage digital’s strengths without the risk of ad blocking, fraud, and risk to brand safety,” said James McDonald, Data Editor, Warc.